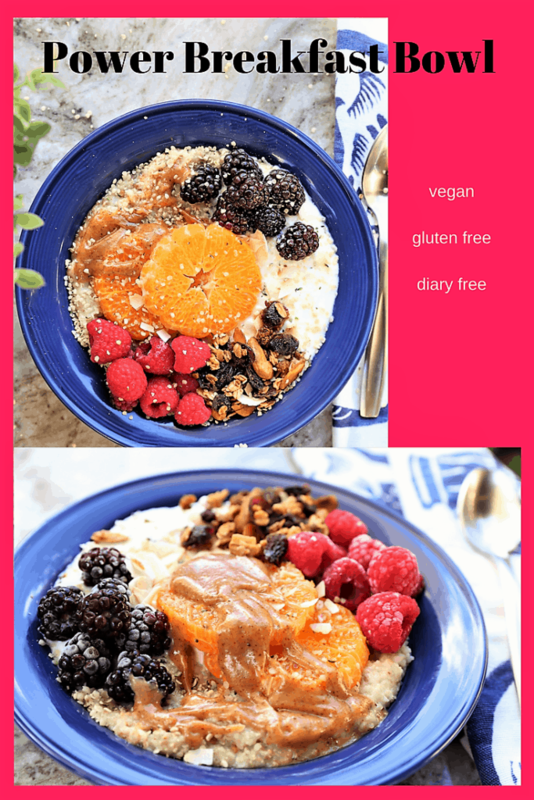 Power Breakfast Bowl. 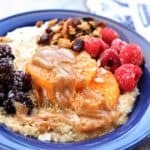 When making a bowl, it is so very easy to make it full of flavor and nutrition. 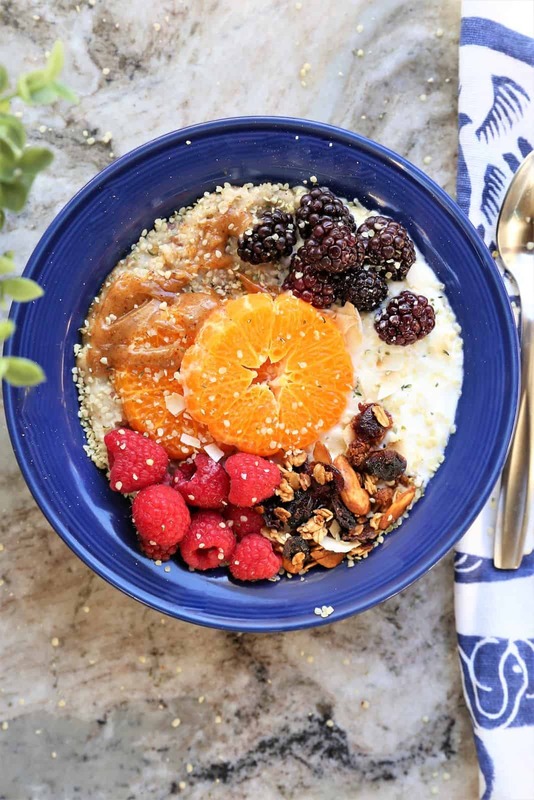 This bowl will get your day started right, with oatmeal, yogurt, berries, orange and granola, and offers vitamins, minerals, fiber, protein and antioxidants. What else do you need for a power day? 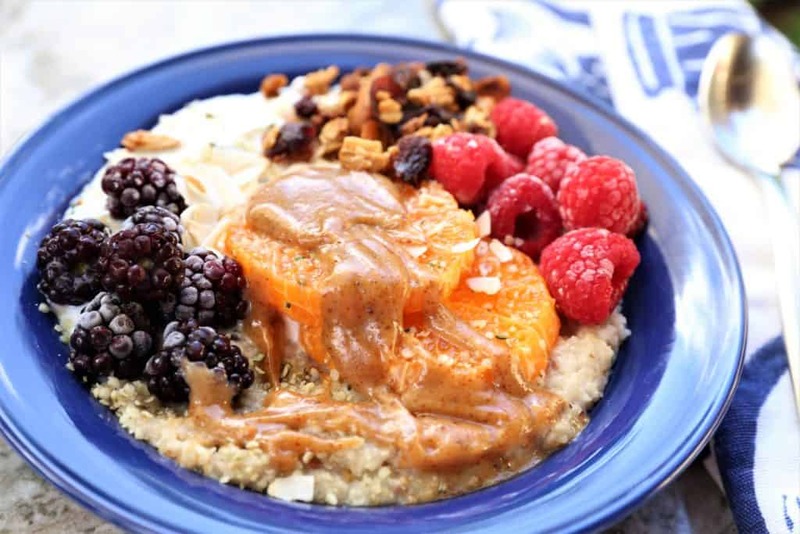 Breakfast is the most important meal, and you can have this bowl ready in 15 minutes. Vegan, gluten free and dairy free. Add all ingredients to bowl as pictured, or according to your preference. Sprinkle toasted coconut and hemp seeds and drizzle almond butter on top. Bake at 325 degrees for 45 minutes, or until toasted. Stir a few times during baking for even toasting. Serve plain, with milk, with yogurt or as a topping. With all of these ingredients, this bowl will be sufficient for 2 servings. Oatmeal cook time is not included, nor is cook time for homemade granola.